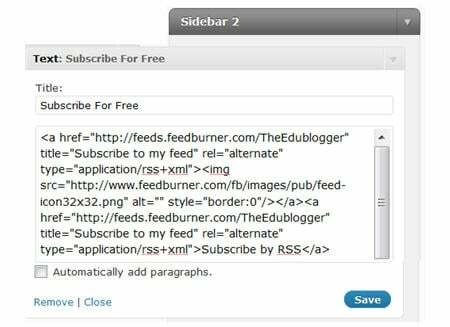 Lots of people have been asking me about RSS feeds and Feedburner over the past few weeks. The easiest way to receive latest posts from your favorite blogs is to subscribe to RSS using feed readers such as Google Reader, Bloglines, NetVibes. RSS (means Really Simple Syndication) retrieves the latest content from the sites you are interested and pulls them into your feed reader where you can read them all in one location rather than visiting each site separately. Watch RSS in Plain English to learn more! The presence of the orange RSS icon indicates a site has an RSS feed and means you can subscribe to it using a feed reader. 1. Go to Feedburner and sign in to Feedburner with your Google Account (create a Google Account first if you don’t have one!). 2. Add your Blog URL to the Burn a Feed Right This Instant and click Next. 3. Leave RSS 2.0 source selected and click Next. 4. On “Welcome” page, make sure you are happy with the title and FeedBurner address (URI) of your new feed and then click Next. 6. On the stats configuration page select Clickthroughs and I want more! and then click Next. 4. Add a text widget to the desired sidebar by dragging it from the Available Widgets into the Sidebar area on the right. 5. The widget will automatically open — just add the HTML code from FeedBurner, click Save and then Close. It’s important to add an email subscription option to your blog sidebar as some readers prefer to receive latest posts from blogs using email subscription. 1. 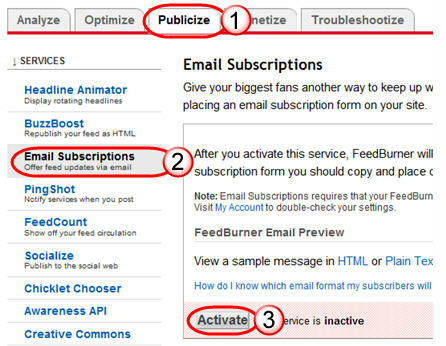 Click on the Publicize Tab > Email Subscription in your Feedburner account and click on Activate. 5. Add a text widget to the desired sidebar by dragging it from the Available Widgets into the Sidebar area on the right. 6. 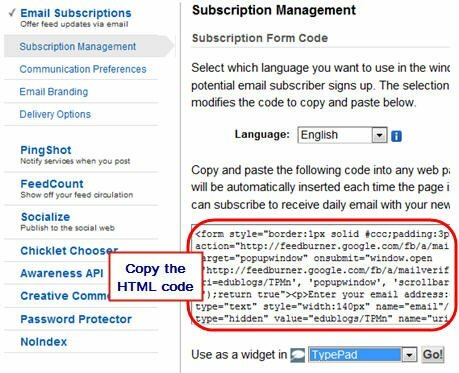 The widget will automatically open — just add the HTML code for Feedburner email subscription, click Save and then Close. 7. 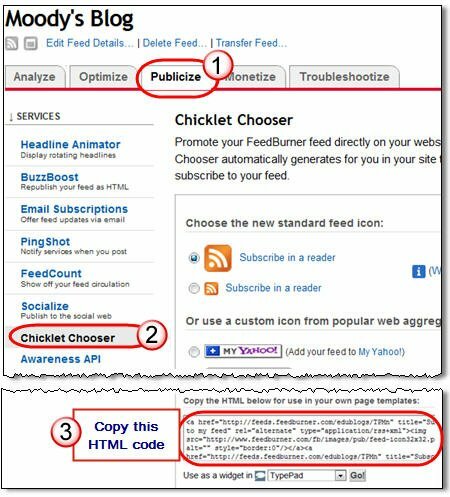 Now readers simply enter their email address and then click on “Subscribe” and Feedburner emails your entire post to them on the day after it has been published on your blog. 2. Add your Feedburner address and click Save Changes. 3. 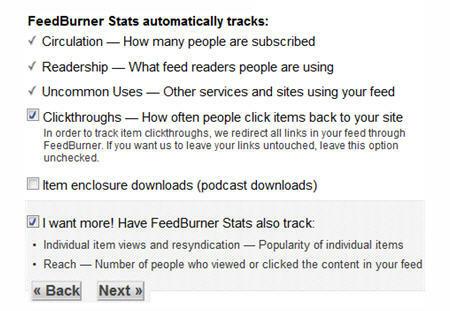 Now all your feeds is automatically redirected through FeedBurner and you’ll be able to track subscriber numbers accurately. Actually I use feed burner email subscription but when i post any blogs, my subscriber get full blog details, mins I think email subscription just notified the title of blog but in my case it shows all articles, images, all things. So then why my subscribers visit my site when the see all post in his email.. I have not heard of any way to do this, Nelson. Unfortunately Google hasn’t updated Feedburner for many years. Thank you SO MUCH! For some reason, the widget I was using wasn’t working with feedburner. It was cuter and more customize-able, but I think I will have to use this one. At least now I can have subscribers! Thank you for this post! That’s great to hear, Amit. Hope your subscribers enjoy your posts! I have completed the feedburner setup on my blog. Thank you so much for this explanation. You explained it beautifully. Thanks a lot. Excellent training. Thank you very much. However I could not do the last phase. I don’t have the Feedburner option in my dashboard settings. How do you make it so only part of your blog post shows up in everyone’s email? This way they cannot see the whole post without clicking “read more” in their email. I see this all the time in my emails for blogs that I subscribe to yet my blog post email that is sent out shows the entire blog post so readers don’t have to go to my blog. I would really like to change this. Thanks! I’d love to know the answer to this too. My entire post gets pushed through my subscribers email, but I’d love for only part of it to send, so they visit my blog to see the entire post. Any advice? ALL the feedburner blogs that I have subscribed to have disappeared AGAIN!!!! I am subscribed to A LOT of card making blogs through feedburner, but they suddenly stopped coming in my e-mail about a week ago, AGAIN!!! This is NOT the first time this happened!!! What is going on and how do I get them coming again???? HELP!!!!!!!!!!!!!!!!!!!!!!!!!!!!!!!!!!!!! Wonderful..!!! most helpful. what exactly i was looking for. Great!!! Excellent post for newbies like me. Hello there Sue! Thanks for this post as I’ve been trying to find all this regarding feedburner. After adding FeedBurner to my website, I tried to subscribe with using another e-mail id. Everything went well. It said that I’ve successfully subscribed to the newsletter. But, we I checked my after publishing a post on my Website, I got nothing there in the inbox. Please help me because I’m not getting any update in spite of being subscribed. If you need help, email our support team and they can assist you. [email protected]. I’ve signed ‘on’ to receive a bloggers ‘blog’ articles. I sign to Activate. Says I’ll receive confirmation via Email. Nothings comes to my Email. I go back to site and seek to get activation again. Nothing happens except a window from WordPress; “cannot locate the site”. Can you help me out here please. Thank you. Bruce J…..
Wow, this just helped me so much! I just couldn’t figure it out, how to set up the Email subscription tool, but now it’s all working, thank you! However i was initially confused at the Blog URL in your second point above. I thought that it must be the domain name of our website, but later i understood that the blog URL must be a path to an xml file in our website. 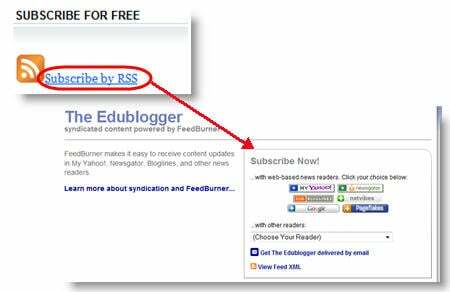 Will those currently subscribing to my blog via RSS feed be automatically moved over to the feedburner account? Will I be able to see retrospective data? Your users wouldn’t automatically be signed up via Feedburner, they’d have to do that themselves. Please note also, this post is now quite old so some details may not be based on the latest information. Unfortunately if they have entered the correct email address, and the activation email hasn’t been sent to their spam folder, then it indicates that the Feedburner activation email is most likely being blocked by the email domain. Occasionally domains will block from specific domains if they detect too much spam coming from that domain. There is nothing you can do about this because it is something that Google needs to follow up with the email domains (which is highly unlikely they would do). On Edublogs we use our own email subscription solution and will contact the email domain if this happens to get our domain unblocked. Your post was very useful. Thank you very much!!! Awesome article! I have been racking my brain trying to find this information and no one else provided it. Now I finally have my RSS feed set up on my website: http://www.jaysuneatstaipei.com thanks to you. Finally, I got the email subscription on my blog. Thanks a lot. Ah, Sue! This is wonderful, thank you! I’ve been struggling with RSS at http://www.halecollege.com. I tried the Subscribe2 plugin for email subscriptions and was very unhappy with it. I know RSS is old news, but this has finally cleared things up for me. Now I have to go implement this at my other blogs. Thank you! Easy and useful. I just set up my feed burner URL. Thanks. 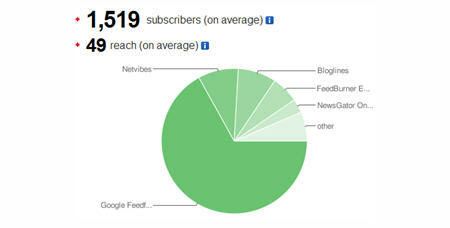 How to change how many posts get listed in FeedBurner Email Subscription. Right now is limited to 10 only, and I have around 30 posts daily. Thank. Did you find out how to get more than 10 posts in the email? I only have 10 showing up too and I’d like them to all be included in the email!!! You have provided a great tutorial to follow. Thanks for the great content on your site. I was able to follow this tutorial very easily. I have been trying to do this for some time now. Thx to your blog post I completed the set up in 10 min. Great article Sue. I am trying to figure out how to feed content from my blog to my website. If I set up feed burner is there a way to automatically feed it to my site?